BlogInstagram Has A Massive Audience. How Do You Access It? Instagram Has A Massive Audience. How Do You Access It? 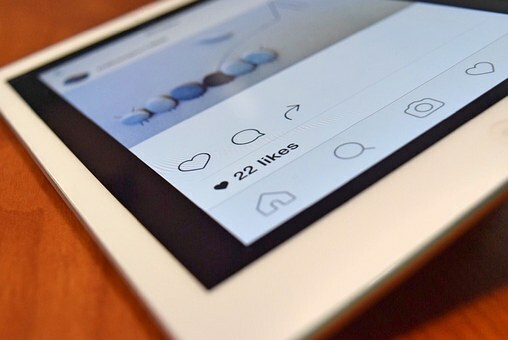 Brands today leverage Instagram photos to engage their customers. How deep is this engagement, and how does it connect to your e-commerce website? Marketers have nearly 300 million active users they can tap into using the Instagram platform for businesses. These users are snapping millions of photos per day accompanied by 1000 comments every second. It is not just a place to post cat photos or selfies of good hair days but also a platform for brands to elevate their businesses. Brands both big and small are slowly becoming aware of this great marketing opportunity with amazing potential to increase brand awareness. However, there are still some brands that seem hesitant to get onto another social media platform. Not every marketer has a liking for social media. Sure, Instagram advertising is great, but it is not always easy to measure sales efforts. Certainly marketing platforms can keep track of likes, shares and comments but what happens after this? It is more art than math when it comes to linking those statistics to real world sales. And the answer of every marketer to what constitutes the value of a customer will be different. There is good news, however, there are new tools and services which emerge everyday to help marketers bridge this gap between expenditure and revenue. Launch a contest and encourage fan participation. If you want to get your audience buzzing and you don’t have the engagement that Nike has, launch a photo contest and get your followers jazzed up. For instance, if you are a clothing store and you plan a year end sale, launch a contest asking your customers to model in their favourite store bought attire to win a shopping voucher. This will get your audience excited and will serve the purpose of leveraging your sales. Now that you’ve got your audience buzzing and hundreds of photos to post, link these images to the product pages. This gives it a real feeling for prospective customers visiting your online store. They see the product modeled on a real person, which gives them an idea of how it appears to the outside world. You can monitor these links and track conversions coming from it. Then look for the photos contributing to most traffic which is what usually results in more sales. With this information in hand, you can feature photos that are directly linked to leads and conversions.